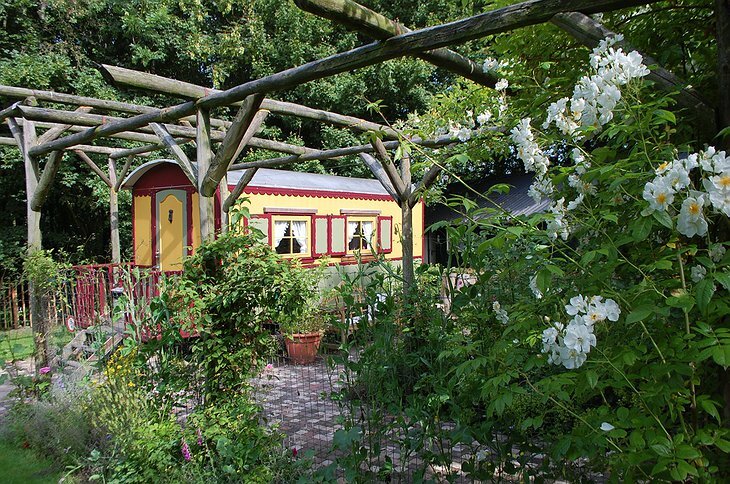 Located in the fascinating town of Oosterend, "Het Kleine Paradijs" ("The Little Paradise" in English) is the perfect place to explore the region. 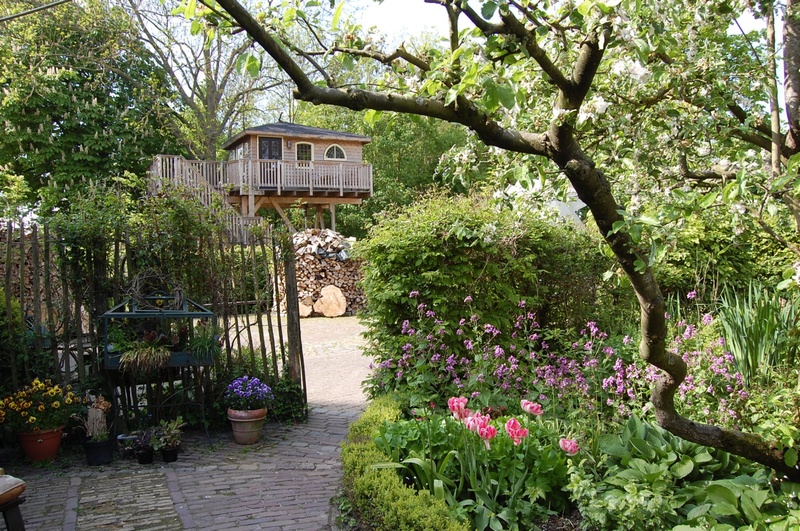 Oosterend was known as “the Jerusalem of Holland” because it was home to five different religions and, this being the genteel Netherlands, they all existed happily together. 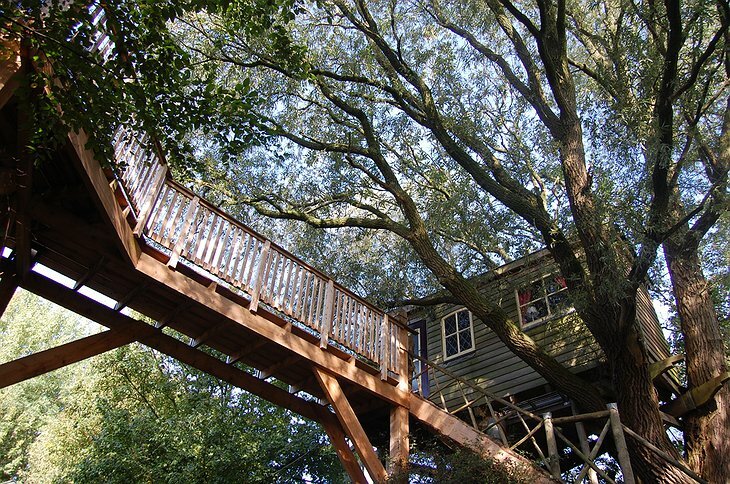 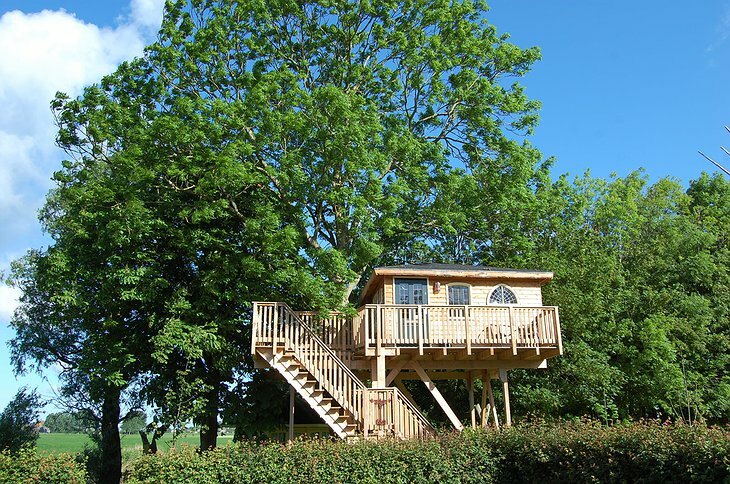 You will exist just as happily in your romantic tree house. Het Kleine Paradijs has two to choose from both hand-built by owner Willem. 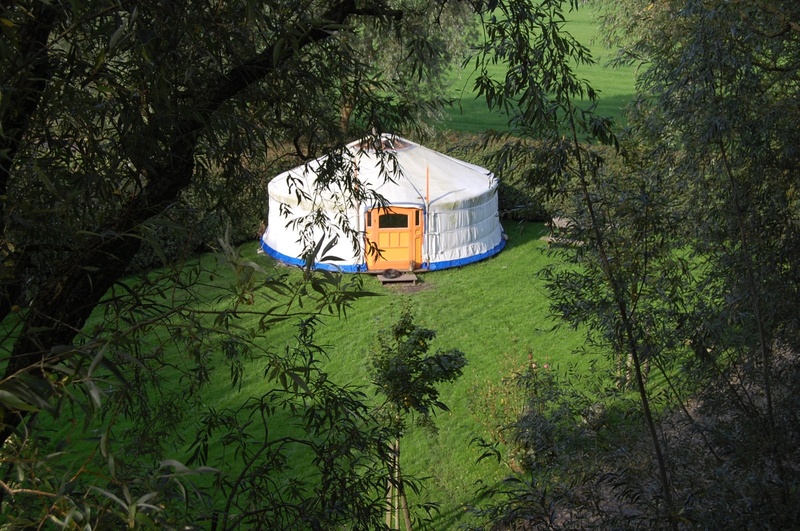 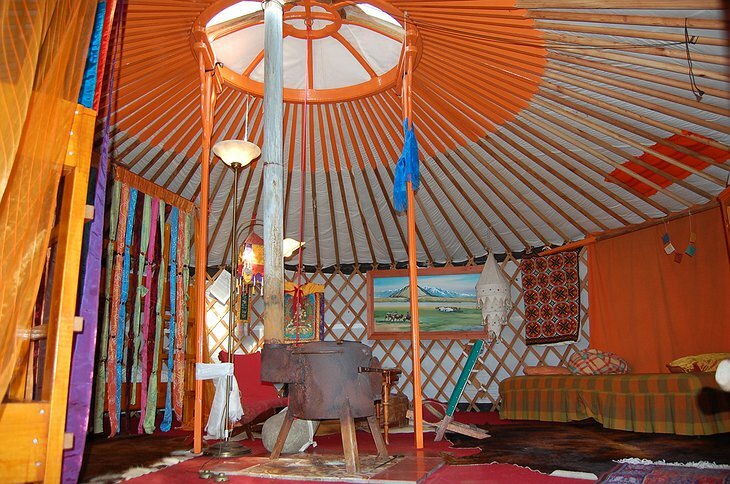 Or you can stay in a number of other interesting places on the property – how about the Mongolian Yurt heated by a toasty wood burner? 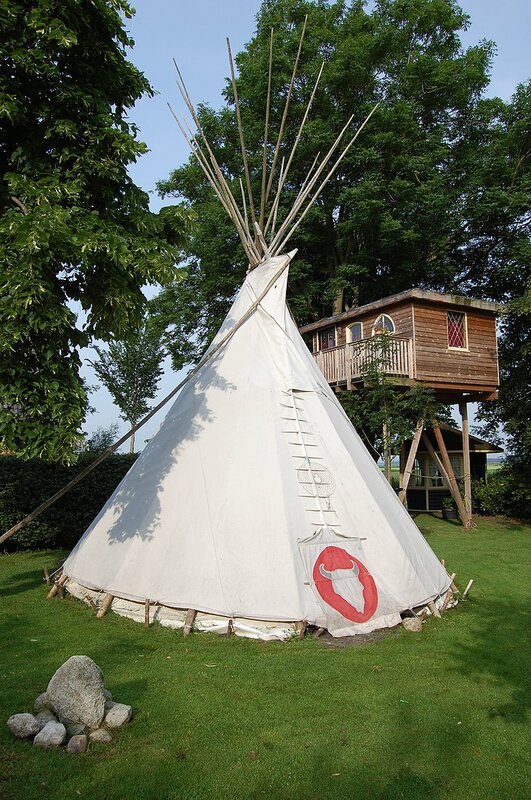 Or how about the medieval stylings of the “Knight’s Tent”? 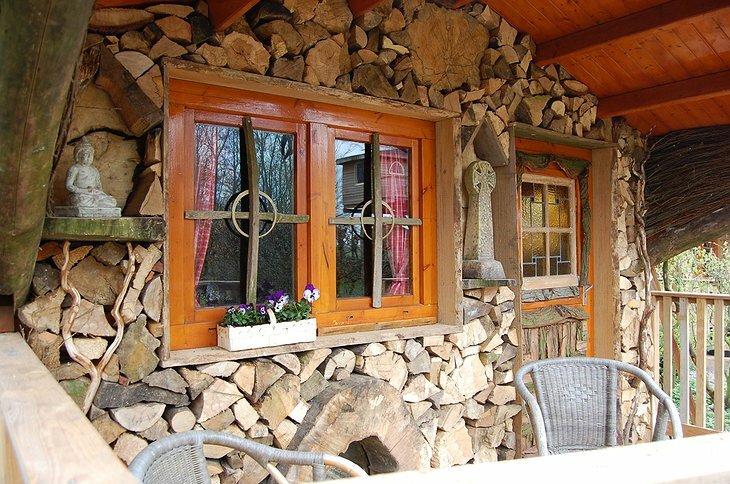 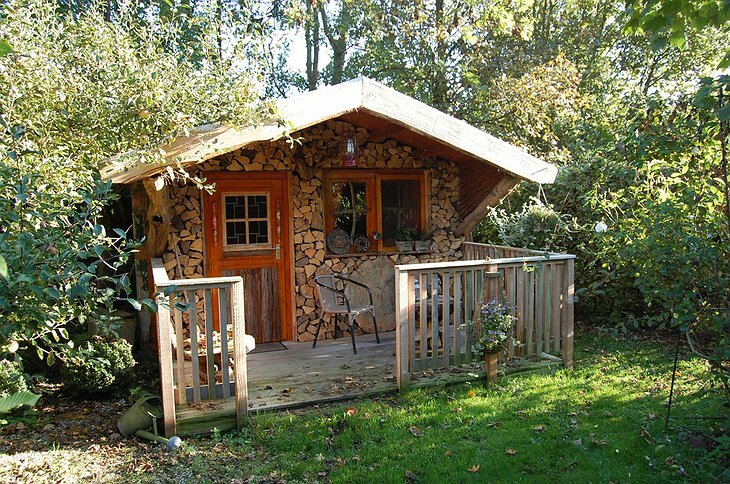 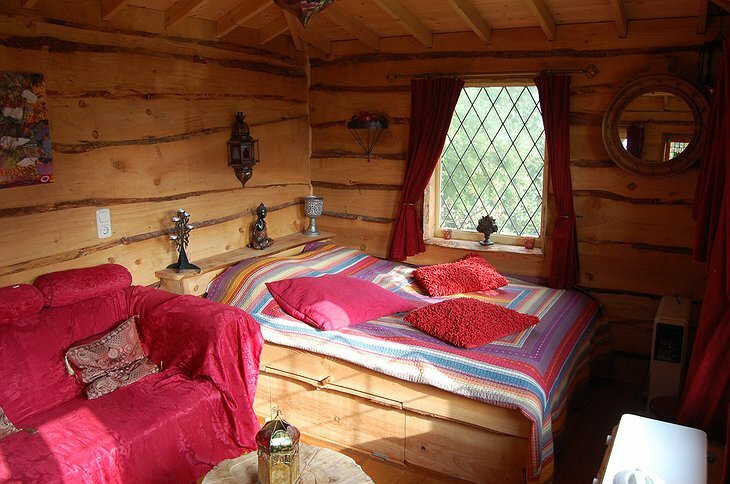 Writer’s like me will love the “Writer’s Cabin” as a place for quiet contemplation. The tranquil environment is used by the owners to run various retreats for people to learn how to overcome personal challenges and connect to a more peaceful and balanced lifestyle. 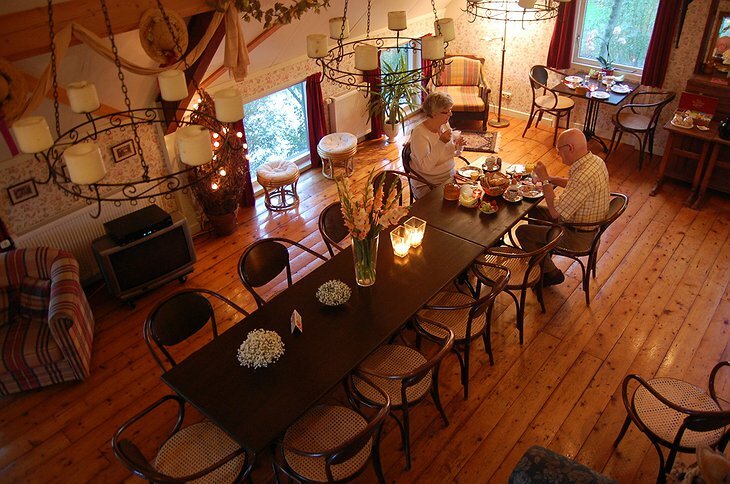 Two of the many benefits you are bound to get when you stay here.